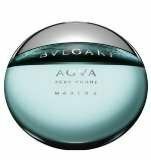 This fragrance is inspired by iridescent reflections of water Fresh, elegant & masculine Blend of marine scents with a woody essence Gives a touch of sensuality & richness Notes of mandarin, petit grain, santolina, mineral amber. 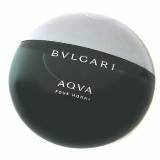 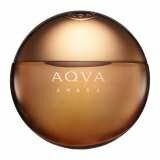 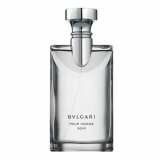 Aqua Pour Homme Marine by Bvlgari is a new fragrance and it was introduced in 2008. 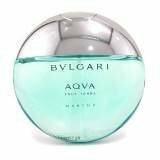 This is a citrus aromatic fragrance for men; a fresh and luminous aquatic scent dedicated to a lighthearted, active man with a vibrant personality. 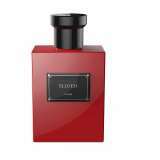 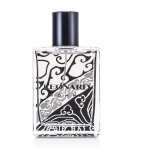 The fragrance is a blend of neroli, grapefruit and cedar. 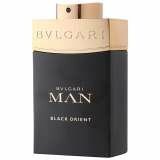 An intense, vibrant fragrance for men Elegant, intuitive, assertive Starts with fresh note of petitgrain, essences of orange leaves In heart, seawater note of Posidonia blended with aromatic notes. 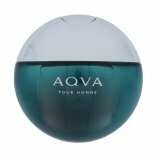 It was designed by renowned perfumer Jacques Cavallier, the creator of the original Aqua Pour Homme fragrance, who tried to evoke the natural freshness and the strength of the ocean with Posidonia Oceanica seaweed, neroli, grapefruit, rosemary and white cedar.